Berlin – The bad news from Bangladesh’s textile industry is not abolishing. In the Asian country, thousands of primarily female factory workers have been killed by accidents, fires or the collapse of buildings in recent years. How many employees died this Monday in the explosion of a steam boiler in a textile factory in Bangladesh’s capital, Dhaka, is still unclear. The authorities assume that at least 10 people died. For Bangladesh, one of the poorest countries in the world, the garment industry is both a blessing and a curse. A large part of the population earns a living in the industry. The industry has the largest share of global textile production after China. However, as is generally known, most employees work in inhuman conditions and for wages below the subsistence level. Critics have been accusing the operators of textile factories, the authorities and the international fashion companies that produce in Bangladesh for years of not doing enough to protect workers and improve working conditions. Mostafiz Uddin wants to show that there is another way. With his jeans factory Denim Expert in Bangladesh’s port city of Chittagong, the entrepreneur wants to set an example for the textile industry in his country and set new social and ecological standards in his company that meet western standards. 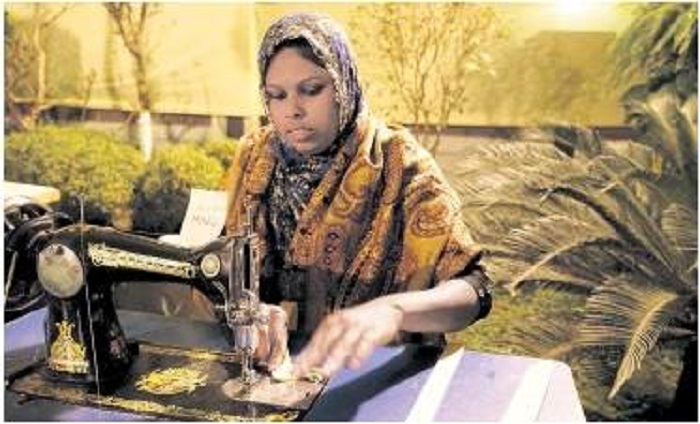 The Berlin-based fashion week is a welcome occasion for the 39-year-old to convey to the public that progress has been made in the textile industry in his country over the past few years and especially since the collapse of the Rana Plaza textile factory – and not all in his industry is bad. In Uddin’s company, around 1,800 employees sew up to 320,000 garments for the global market a month and produce for labels such as Zara or Takko – for a wage of 100 to 150 euros. It’s about twice what the average of Bangladesh’s textile workers earns in a month. Anyone who marries or starts a family is also financially supported by the company. Uddin also regularly sends employees to health care and first aid courses at the company’s expense, conducts fire safety training and trains employees in handling chemicals. The entrepreneur had his company building erected on a steel scaffolding, which is also designed to withstand strong shocks during earthquakes. In addition to the production hall, Denim Expert also has common rooms – and a canteen. “I want my employees to be motivated and satisfied, and their work to be decently rewarded,” says Uddin, referring to his strong commitment to his employees. In addition, the textile manufacturer intends to use organic produce in its operations: The Company collects and stores rainwater, has its own sewage treatment plant and maintains one of the first laundries in Bangladesh to recycle 60 percent of the water used. In this way, the jeans can be cleaned at the end of the production resource-saving under running fresh water. Since January 2016, Uddin’s mission in Bangladesh has been funded by the German Investment and Development Corporation (DEG). Among other things, the funds of the subsidiary of the KfW banking group are to benefit the establishment of a dual training system in the national jeans industry, in which Uddin’s company also participates.